Rob and Rannae had gone to dinner for Valentines Day and Grandma and Grandpa S. were entertaining Madeline for the evening. She looks a bit sleepy in this photo since its past her bedtime and she had been VERY busy dancing, running, riding her car, etc. in the hours before this was taken. 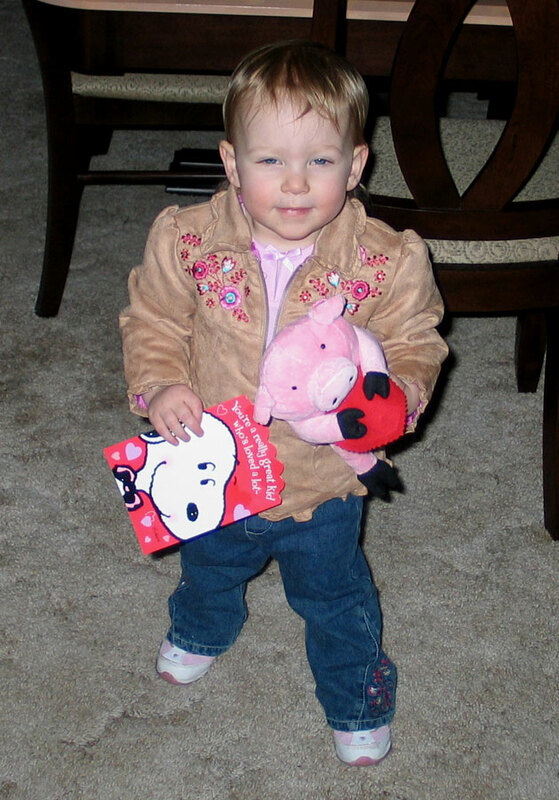 She's holding her new stuffed pig and a valentine from Great Grandma Sanders and is wearing an outfit Linda and Tony Rawluk gave her for Christmas.